Sweet almond oil is a gentle oil containing high amounts of vitamins E, A, and D and has been used in skin care products for centuries. It is also rich in oleic and linoleic fatty acids. Almond oil sinks quickly into the skin and deeply moisturizes by restoring the pH of the skin while forming a protective barrier. It also has anti-inflammatory properties and helps soothe skin allergies, wounds, chapped skin, and infections. The vitamins and acids in almond oil also help lighten skin discoloration, such as dark circles or other marks from scarring or sun damage. These same properties help reduce wrinkles and stretch marks. Apricot kernel oil is a very mild natural oil often used in baby products for its fine, gentle nature, and its ability to penetrate and soften also make it ideal for mature, prematurely aged, sensitive or irritated skin. Rich in essential fatty acids like oleic and linoleic acid, apricot kernel oil is high in vitamins A, C, and E and helps skin retain elasticity, clarity, and suppleness. Apricot oil softens and moisturizes without leaving an oily residue and is particularly well suited for the face, feet, and hands. In addition, apricot kernel oil calms the inflammation and irritation of eczema and dermatitis. The health benefits of EVOO are well known: it's packed with antioxidant vitamins A and E, and its monounsaturated fats help reduce cardiovascular issues. What you might not know is that many of the same benefits are available to your skin when EVOO is applied topically. EVOO penetrates the skin deeply and while it may take longer to do so than finer oils, the benefits last much longer. It creates a protective barrier, while powerful antioxidants vitamins A and E repair and renew skin damaged by sun exposure and pollutants. These antioxidants also help stimulate cells to return to a firmer, smoother and healthier state and help prevent further damage. In addition, EVOO is the same pH as human skin, perfect for restoring balance to your body's largest and fastest-growing organ. Comfrey is one of the most celebrated healing herbs of all time. The Greeks and Romans used its broad, dark-green leaves to alleviate a number of ailments including bronchial problems, broken bones and heavy bleeding. In the Middle Ages it was commonly used for healing fractures, and it is often referred to as "knitbone" in folk medicine. Comfreys regenerative properties are due to its high levels of allantoin, which stimulates cell proliferation and hastens the replacement of damaged cells. Both allantoin and mucilage, another important compound found in comfrey, have anti-inflammatory properties and are used in alleviating the pain and inflammation associated with broken bones, sprains, arthritis, bruising, and sore muscles. Comfrey salves and poultices have long been used for topical treatment of minor burns, skin ulcerations, abrasions and lacerations, insect bites, and rashes of all kinds. Comfrey contains an abundance of protein and vitamins A and C, and is one of the rare plants to contain the vitamin B12, which is essential for the formation of red blood cells, cell division, and proper development of nerve cells. Comfreys taproots bring up essential minerals from deep in the soil, making it rich in calcium, potassium, phosphorus, magnesium, copper, zinc, selenium and germanium. Beeswax is a pure, natural wax that humans have been using for thousands of years. To produce this wax, bees must consume about eight times as much honey by mass, and it is estimated that bees fly 150,000 miles—roughly six times around the earth—to yield one pound of beeswax. Two pounds of beeswax goes into every batch of Mom’s Stuff, so that’s a lot of flying! Beeswax contains vitamin A, which softens and hydrates, and promotes cell reconstruction in dry skin. Beeswax acts as a long-lasting protective barrier for your skin when it is in and out of water, soil, clay or dry heat, while still allowing the skin to breathe. Beeswax also contains anti-inflammatory, anti-allergenic, and germicidal antioxidant properties that aid in healing cuts and wounds and keeping skin healthy. Studies have shown that beeswax helps inhibit the growth of bacteria and fungus, making it ideal for the treatment of diaper rash, chafing, and skin conditions related to bacterial or fungal infections. Rich in monounsaturated fatty acids like oleic acid, avocado oil is one of the most penetrative of all natural plant oils. It penetrates through the epidermis and into the dermis layer of our skin, making it particularly effective for softening and hydrating facial skin. Due to its chemical composition, avocado oil helps skin cells retain moisture, which leaves skin feeling hydrated longer and prevents it from drying out. 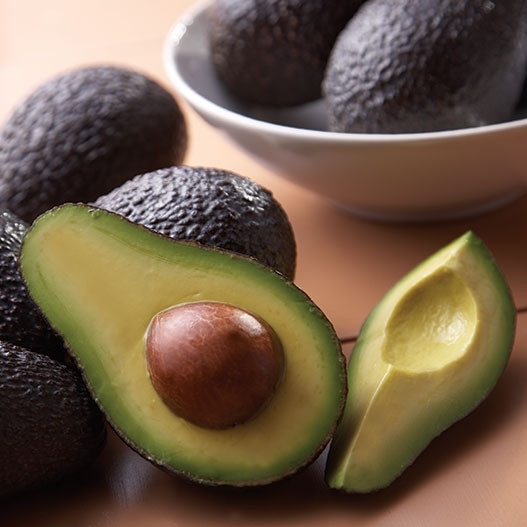 Avocado oil also triggers the production of collagen within the dermis layers, thus helping reduce fine wrinkles, age spots, and dry or flakey skin. It is also effective in preventing acne and blackheads, and soothes eczema and psoriasis. Castor oil is rich in fatty acids, which are easily absorbed into the epidermal skin layers and stimulate the production of collagen and elastin, thus repairing and softening your skin and delaying the appearance of wrinkles, fine lines, and other signs of fatigue. It helps especially to reduce crow’s feet and dark circles around the eyes. The fatty acids in castor oil also penetrate and reduce scar tissue while simultaneously promoting growth of new cells. The ricinoleic acid in castor oil is a natural and safe agent against cystic acne-causing bacteria, and studies show that castor oil detoxifies facial skin by breaking up the oils that clog pores and glands. Extracted from the seeds of the jojoba plant (found throughout the deserts of North and Central America), jojoba oil is composed of wax esters, which are fatty substances very similar to human sebum. Sebum is secreted through pores on our skin, especially our face and scalps, and works to protect skin from both water penetration and dehydration. Because jojoba oil is so similar to sebum, it regulates sebum production and restores balance to the skin's moisture levels. Excess sebum clogs pores, causing oily or acne-prone skin. Jojoba oil, in promoting a return to normal sebum production, opens pores and has been found to be an effective acne treatment. Sebum production slows during young adulthood and further decreases as we age, leading to dry and wrinkled skin. Jojoba oil compensates for the loss of wax esters found in sebum, thus slowing the aging process and the appearance of wrinkles. Sunflower seed oil is rich in vitamin E and a compound called beta-carotene, which helps to improve skin health by regenerating cells and protecting skin from the natural degradations of age in the presence of free radicals. Sunflower seed oil creates a protective layer that shields from environmental toxins and harmful solar rays. This protective layer also helps prevent contact with bacteria and thus helps avoid acne infections. Lavender oil, celebrated for its antiseptic and anti-fungal properties, is effective against inflammatory skin conditions like acne and psoriasis. It improves the formation of scar tissue and is commonly used to speed the healing process of wounds, cuts, burns, and sunburns. Lavender oil’s soothing, anti-inflammatory properties make it a useful treatment for redness and skin aggravated by stress. It can also help against wrinkles and signs of skin fatigue by stimulating new cell growth and regeneration. Cedar oil has toning, anti-inflammatory, and antiseptic qualities and is rich in vitamins A, B, C, E, and F. Cedar oil's astringent properties make it particularly effective in caring for oily or acne-prone skin.